We are looking to expand our team of Central Heating Engineers - Join the Power Flush Wizard Team! Power Flush Wizard is an established Power Flushing and Central Heating Repair company who are based in Essex, and operate throughout the UK. We have built our reputation up over many years, providing our customers with a professional, reliable service. Our team of engineers are all highly trained, and take pride in the work that we carry out. 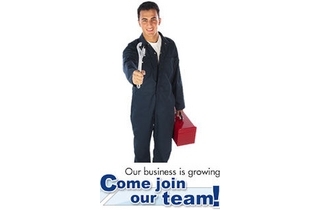 We are looking to expand our team to carry the business forward. If you are a sole trader looking for more work, or part of a small business looking to extend your Power Flushing services without having to find the work yourself, then this may be the opportunity you are looking for. Our new engineers will need the following. Kamco Equipment a must. We only use the best to ensure a quality result. Gas Safe Registered an advantage. If this is you, give our team a call on 0800 849 1308 or click HERE to contact us online. We look forward to hearing from you!